When bosom buddies Valentine and Proteus (promised to Julia), both fall for Silvia (whose father, the Duke of Milan, intends her for the rich but doltish Sir Thurio), relationships are tested and the nature, signs, and relative merits of love and friendship are reconsidered. A band of exiled outlaws, a host of opinionated servants, the playwright’s first “breeches role” (a female who disguises herself as a male), and a lovable pooch named Crab all add to the confusion, the humor, and the moral explorations of the evening. In the title roles of the two gents, the excellent Luigi Sottile is amusingly ardent as the virtuous Valentine, contrary to the ignoble behavior of Zack Robidas’ Proteus, who so callously betrays his fiancée and his best friend. 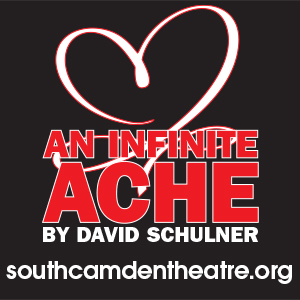 As Julia, Nicole Erb eloquently transitions from impetuous to smitten to lovelorn, and in her boyish disguise as Sebastian, captures both the heartbreak and the steadfast devotion of a woman wronged. Marnie Schulenberg’s Silvia is convincing in her defiance, empathy, and insistence that both she and Julia should marry their true loves. The lead actors are supported by a terrific ensemble; among the standouts are Alex Bechtel, whose posturing as the vain and foolish Thurio is hilarious. Peter Danelski and Scott Greer as the gentlemen’s quick-witted servants Speed and Launce, and Launce’s irresistible cur Crab (played by the well-trained rescue dog Duncan, who elicits “aahhs” from the audience with every appearance on stage), all turn in crowd-pleasing, scene-stealing performances. The narrative is punctuated by musical interludes of catchy contemporary songs with clever lyrics performed by the multi-talented cast (Bechtel also serves as music director), underscoring the moods and emotions of the characters and further enlivening the already spirited production. 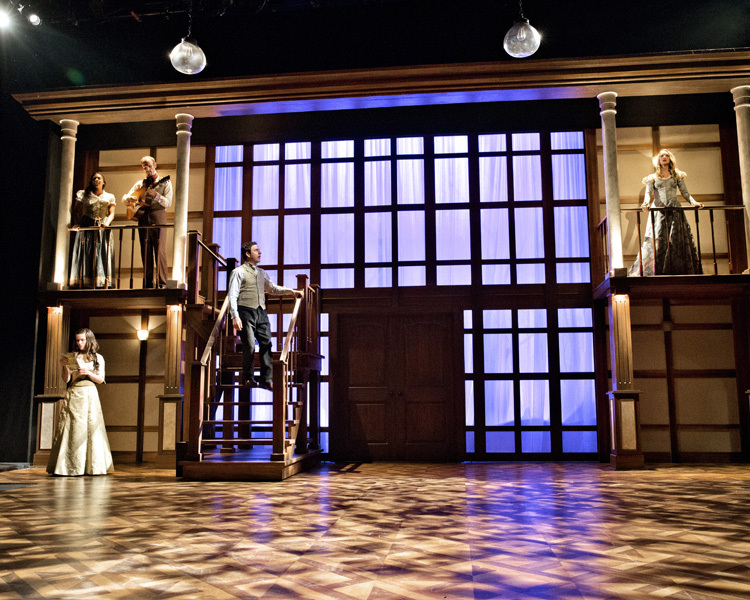 Historicizing costumes (by Marla Jurglanis) and a set freely inspired by Elizabethan architecture (scenic design by Samina Vieth) reinforce the universality of the pan-temporal themes. To set a distinctly Shakespearean tone, live Renaissance music is performed on the green just outside the theater before every evening performance, and a member of the PSF staff discusses the play’s characters and plot 45 minutes prior to curtain time in the free Prologues. 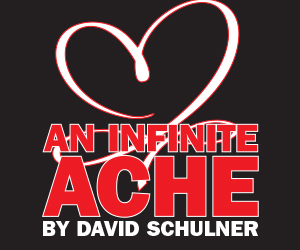 [Schubert Theater, DeSales University, 2755 Station Ave., Center Valley, PA] June 18-July 13, 2014, www.pashakespeare.org.